JPMorgan Chase & Co, one of the biggest arrangers of Gulf bond deals, expects sales to slip in 2019 from last year’s $78bn as issuers turn cautious amid rising interest rates and market volatility. In the past, when there has been uncertainty either “in rates or in spreads, regional issuers tended to become more careful and price sensitive,” Hani Deaibes, the US bank’s regional head of debt capital markets, said in a phone interview. “Most of our clients have multiple funding options and will consider other alternatives” if bonds turn too expensive, he said. 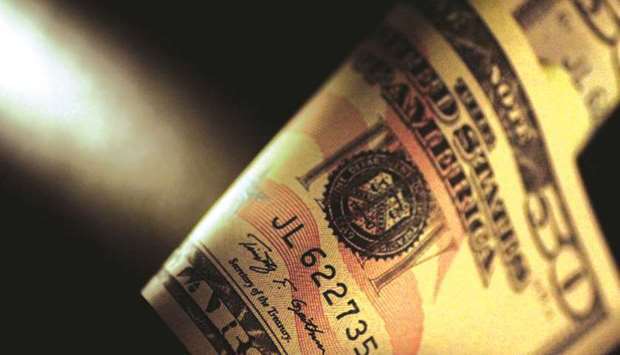 Borrowers from the six-nation Gulf Co-operation Council primarily sell bonds in dollars and two further interest rate hikes forecast in the US this year will add to costs. The possibility of economic growth stalling in the US and China, the trade dispute between the world’s two biggest economies, political turmoil in Europe and falling oil prices are all contributing to volatility in financial markets that will make potential issuers uncomfortable. GCC bond sales got off to a robust start this year. JPMorgan, the fourth biggest arranger of GCC bond sales in 2018, was one of five managers. Prospective issuers may turn to bank loans for funding if bond-market volatility increases. GCC syndicated loans surged 54% to $114.5bn last year, when foreign and local banks were flush with liquidity. n Government fiscal deficits are the biggest driver of sovereign issuance. n Doesn’t expect an increase in issuance in 2019 driven by refinancing or capex, but M&A-driven supply is less predictable and could have a more material impact.